Christine here again with my last blog post for October. For the theme "One stamp - different ways" Iv'e used the lovely Cracked Leather stamp. Iv'e stamped the image in blue over a canvas which I covered in coloured and inked tissue paper. I then stamped the image again on yellow paper and cut out various shapes sticking them to the bottom left of the canvas. I then stamped the image again but this time onto brown paper and cut out a Dragonfly shape which I embossed with Pink Perfection powders which gave an irridescent look to the wings. I melted some Melt It powders using my Melt pot and moulded some flowers which I added to my canvas along with clear embossed leaves. Adhesive stones were added to the Dragonfly to finish. Iv'e had lots of fun with this theme. Have a Heart... One Stamp Two Ways! Trish here, sharing my projects for the 'One Stamp, Two Ways theme for this month! Happy Wednesday! Nicole here with a fun card to share with you today. I wanted to create a very feminine and classic Christmas card using the ombre background technique. There is also a video tutorial below to make sure to check it out - you can see how the card comes together in person. I used an ornament stamp set to create today's project. Embossing powders can really pop out those solid images and grab anyone's attention well. I stamped two ornaments onto the cardstock and heat embossed it using some Gold Rich Regular embossing powder. Few colors of pigment ink pads were used to create this background - I used light pink, bright pink, light purple, dark purple, and a dark gray color to create this ombre look. It really helps those heat embossed ornaments to stand out nicely. Don't you just love the contrast? Good Morning, this is Jenifer here with you today to share my 1 stamp 2 ways project with you. I was inspired by the card that I made for the 3L hop that I continued with the stamp and had some fun. First I Stamped the "Me Blizzard" on a white shipping tag using Ultra Shimmer Embossing Glitter. I then sprayed it with some glitter mist and then wiped off the extra with a tissue. I sprayed a few areas again to make it a bit darker in a few spots wiping off the extra with a tissue. Using the "ME Blizzard" stamp, stamp another image on a piece of white card stock using the Blue Lagoon embossing glitter. Cut out a complete snowflake and layer it with ribbons and a small medallion. I love how the Blue Lagoon looks so sparkly and pretty:) Finally layer, layer, layer your desired ribbons, doilies etc. Blog Hop with Scrapbook Adhesives by 3L Day 5! Hi All! Welcome to Day 5 Blog Hop with Scrapbook Adhesives by 3L! Our design team has been playing with their products and discovering inventive ways to use them with Wow! Embossing Powders! Please leave our design team some love in the comments section below and you just might win some goodies from both our companies! Christine Saunders here with my creation for the Blog hop using 3L Scrapbook Adhesives alongside WoW products. Pop over to my blog at http://christinescraftyart.com to see how I made this card. I hope you like this creation. I'll be using the 3L Adhesive Sheets time and time again - they make sticking your fancy Die Cuts down so easy. Blog Hop with Scrapbook Adhesives by 3L Day 4! Hello our dear crafty friends and welcome to Day 4 Blog Hop with Scrapbook Adhesives by 3L! Our design team has been playing with their products and discovering inventive ways to use them with Wow! 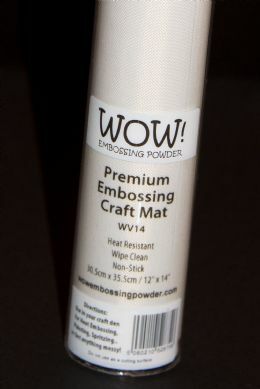 Embossing Powders! This is Irit here and this is my project made for the hop: Follow your dreams Mixed Media art piece. The whole project today was an experiment as I never used so much adhesives combined with embossing powders and some of the effects are cool, some are hard to make and some were just impossible and not even added to this piece. You can see the more detailed explanation in myblog post. I used a whole bunch of products from both WOW! Embossing powders and 3L company. Blog Hop with Scrapbook Adhesives by 3L Day 3! Welcome to Day 3 of our very first collaborative blog hop with our friends at Scrapbook Adhesives by 3L! Our design team has been playing with their products and discovering inventive ways to use them with Wow! Embossing Powders! Loads more close up pics, and a full run down on how to create my shabby chic panel over on my blog! Blog Hop with Scrapbook Adhesives by 3L Day 2! Welcome to Day 2 of our very first collaborative blog hop with our friends at Scrapbook Adhesives by 3L! Our design team has been playing with their products and discovering inventive ways to use them with Wow! Embossing Powders! Let it Snow card by Jenifer Cowles I had so much fun using the foam sheets from 3L. I took off the protective backing then sprinkled on the Metallic Blue Ultra and heated it then ran it through my embossing machine. I used a small dot embossing folder from Cuttlebug, I then sanded lightly giving me the small white polka dots. I love how this looks and I can't wait to play around with some more foam sheets. Blog Hop with Scrapbook Adhesives by 3L Day 1! Welcome to Day 1 of our very first collaborative blog hop with our friends at Scrapbook Adhesives by 3L! Our design team has been playing with their products and discovering inventive ways to use them with Wow! Embossing Powders! I loved the shape of the 3L Scrapbook adhesives 3d foam pads so just had to use then on the front of my card.... The embossing powder that I used is the Frozen Berries embossing glitter. 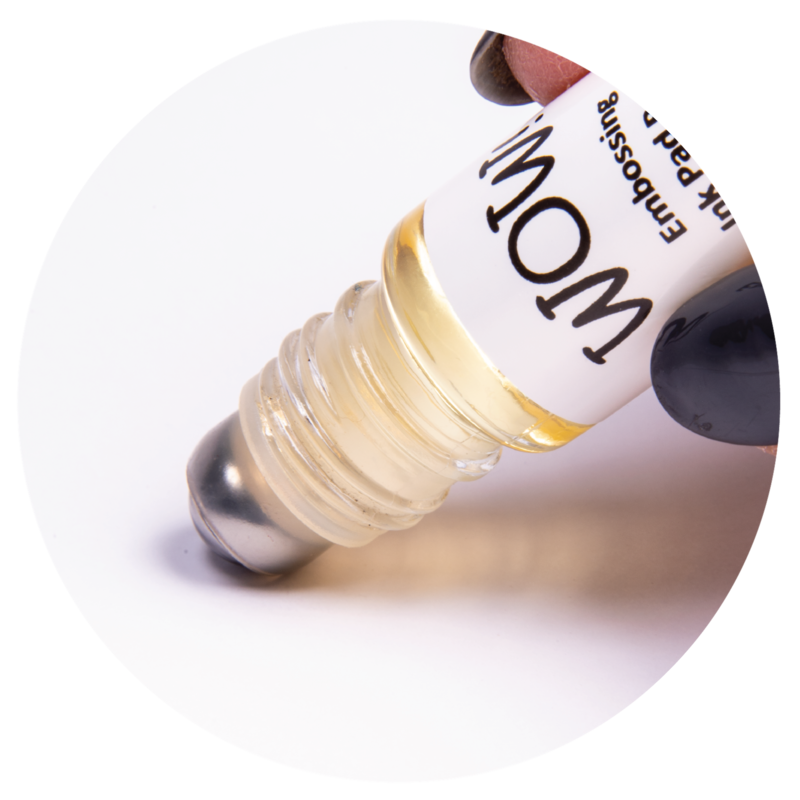 Hello and welcome to WOW EMBOSSING BLOG. This months theme is One stamp, two ways. I have created a special card to give as a gift. The stamp set I have used is Vintage wallpaper, it would be one of my favourite WOW Stamps and can be used for so much. I love using it as a background. I stamped a piece of white card stock with my stamp and then added white embossing powder. This created a white on white effect that I could use as a resist. I got some colour sprays and strayed my paper over the embossed area. While the spray was still wet I got a wet wipe and swiped over the embossed area to take of any of the excess spray. I used a second piece of card stock and again embossed with the Vintage Wallpaper stamp, this time I used a contrasting colour, cut my paper to size to fit my die and cut out some pine cone swirls which makes stunning wee roses. I cut some leaves to go with my roses. Hi everyone - Nikki from the dt here. My main stamp that I chose was the 'De-Vine' stamp. It's a new stamp from WOW! and I love it!!!! The stamp I used for the sentiment on the first card was the 'ME Collage stamp'. For the first card I stamped in clear ink and used purple orchid powder to emboss....... This created the back panel. For the greeting I arranging the words on my stamp block and then stamped with clear ink onto some scrap card..... to create the different colour effect I sprinkled this with purple orchid and spring breeze powders and then heat embossed. I love that technique as you get a different effect every time. The well known icon of the telephone kiosk (aka telephone box) is so recognizable even if dressed two ways. There's the traditional "currant red" of the UK standard boxes and the blue of dr Who's Tardis. For my monthly project, I used the telephone box stamp from one of Wow Embossing Powder's first stamp sets in a card and in a tag. The Card I stamped the telephone box in Memento black ink then used water color paints for the background. I used my heat tool to quickly dry and set the water colors. I masked the telephone box and sprayed white acrylic paint with a paint brush to dot stars on the background. Then, I stamped the entire face of the card with Versamark ink and heat set on top Wow's clear hologram sparkle embossing glitter. The effect is out of this world. Can you see the hologram shimmer? The Tag This little tag will look great on a Union Jack themed gift basket I am planning. Hi! It's Sandie here and it's my turn to share some DT inspiration with you. Our theme this month is One Stamp - Different Looks! I made 2 cards using one of the butterfly stamps from the With Love clear stamp set. On the first card I used Clear Gloss powder on white card and sponged the background with Victorian Velvet distress ink. Tip: Rub over the butterflies with a damp cloth to remove any ink residue. I matted it onto white card and used 3D foam to adhere it to the card base. I stamped the sentiment with Archival black ink and distressed the edges with the Victorian Velvet. Finally, I added some liquid pearls randomly to the card front. I used the Sexi-Hexi background to make two cards of different styles. 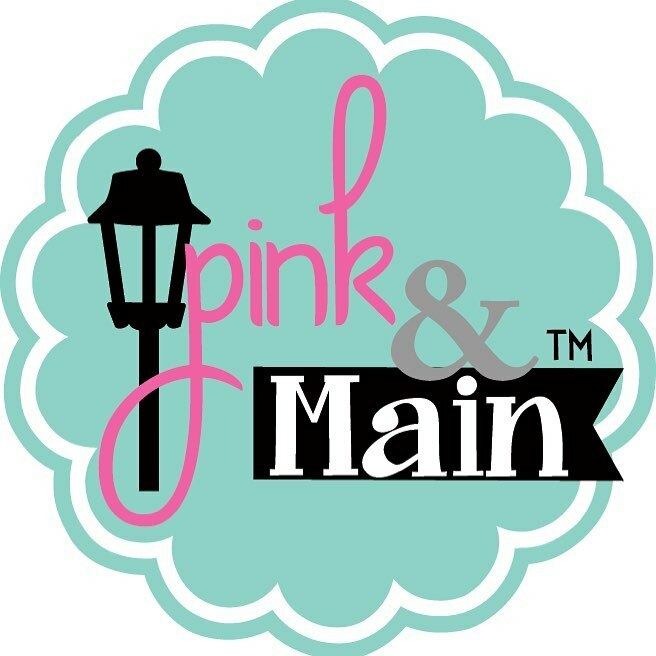 I made one soft and romantic and one with lots of contrast in black and neon pink. For the first card I embossed the stamp, greeting and wood veneer star using Metallic Platinum Sparkle embossing glitter. The greeting is stamped on Vellum and mounted on top of a banner cut out of neon cardstock. For the second card I embossed the same background in white and used my Distress inks to color my background in a gradient. I then die cut the word hello out of the background and out of another sheet of cardstock that I first embossed with gold embossing powder and then I put the pieces together like a puzzle. I added a gold embossed wood veneer heart as decoration. Same Stamp Two Ways on One Page! OCTOBER 2014 Monthly Challenge and Winners!